Today, customer service is the new marketing. Here are the eight habits restaurants must adopt to be great at customer service and win the hearts of current and future patrons. It’s not easy to embrace negativity and customer complaints. 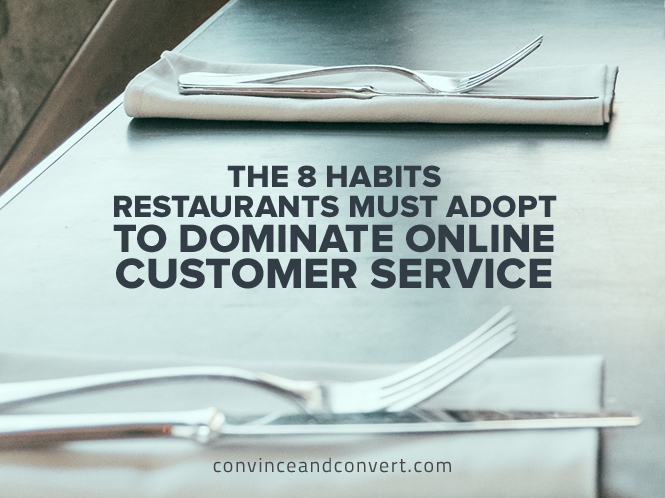 It’s not simple to Hug Your Haters, but that’s what restaurants must do to dominate the important new opportunity of online customer service. Please enjoy this new infographic that I created, with help from the great folks at Pixel Road Designs.